Kindness is defined as the quality of being friendly, generous and considerate. It is one of the most important acts you can make as a person. As mentioned in the 2005 Disney film Cinderella “have courage, and be kind. For where there is kindness there is goodness, and where there is goodness there is magic:”. Simple acts of kindness come in all shapes and sizes, holding a door open is one of the most basic examples. You don’t need to make a grand gesture or pay for someone’s meal without them knowing to be kind. Kindness is in the way you choose to act towards others: being nice to the person on the other end of the phone working for your internet provider, because you know it’s really not their fault your internet isn’t working. Think about how much people have done for you, family especially. Now don’t think simply about this, your family can be blood and decendents, but sometimes the best family you have is your community, your circle of friends. An alternative definition of family is: the people who accept you no matter who you are, where there is no hatred or judgement and where the love is unconditional. With Mother’s Day coming up it is a perfect time to give back to your Mum or your mother like figure, just like we talked about in our alternative definition of family. Mothers give a lot of their time and energy to kids especially in their child’s early life, and it’s nice that there is a day to tell them that they are appreciated. Again, it doesn’t have to be extravagant. Sometimes, it is more meaningful to say thank-you, and to show them how much they mean to you. You can do this by writing a card or simply give them a hug, it’s the thought that matters. Being kind does not have to be hard or have a negative impact on your life. And while you should always strive to be kind, as a person you do need to be aware of when you are simply being kind because you can or if you are being kind at the detriment of yourself. Of course being kind is important, but being kind to yourself is even more important. For example, if you have a full schedule for your day, offering to go out of your way to pick something up for a friend is not being kind to yourself. This month we want you to be a little more conscious of how you are being kind, if you are being kind at the detriment of yourself, or if you need to give yourself a little TLC. And above all ‘have courage and be kind’. Valentine’s Day is historically all about showing “some-one” that you love them or that you care. Everyone has a deep emotional need to feel loved, the question is how best do we meet that need. What is the best way of fulfilling or showing that special some-one that they are loved? There is an amazing book called “The 5 Love Languages” by Gary Chapman which goes into detail about what the 5 love languages are and how to discover your own love language. What fills your love tank? Is it being touched, receiving gifts, spoken to kindly, acts of service or spending quality time with some-one? Regardless of whether you are single, “seeing someone”, in a long-term relationship, or married for who knows how many years, this book will help you to identify your own love language, what you perceive as love and what makes your heart sing? For those of you with a partner, you can take this a step further and work out what their love language is. 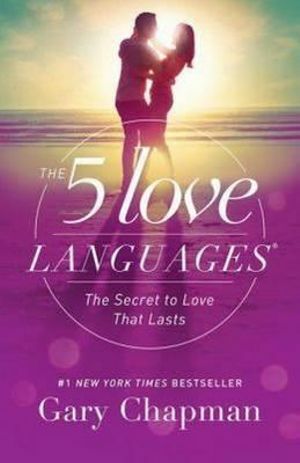 “The 5 Love Languages” book can be applied to every relationship in our lives, including our relationship with our self. Giving love to the most important person, the most worthy person, the most beautiful person… YOU … is the first step. Only when we love ourselves and fill our own love tank can we fill the love tank of another. Count your blessings – accepting that all is good in your world exactly as it is right now is so liberating and freeing. It literally opens you up for opportunities to come your way. Being thankful for all the many blessings in your life will attract more blessings into your world. If you are single accepting that all is well and being thankful will open up your heart and help to attract a loving partner. Acceptance of others - accept where they are on their journey and of what they need to feel emotionally fulfilled. When we accept others unconditionally with no judgement it enables us to feel empowered to fulfill our own needs. Showing our self-love - what is it we need to feel fulfilled? The more we honour our needs, love and respect ourselves the more love we attract into our lives. When we love ourselves we are literally opening up our heart chakra and sending love out to the world and we all know that what we give out comes back to us magnified. So,this Valentine’sDay honor you! -If your partner is not the gift giving type and you are,then buy yourself a bunch of flowers that makes your heart sing. Show yourself how much you are loved. Say nice things to yourself, have a massage or get your hair done. Remind yourself just how much you are loved and areworthy of love - by you. The start of the New Year is a great time to sit and think about what it is you would like to attract into your life. Allow yourself the time to sit in a quiet space with no distractions, and give yourself the time to write down everything your heart desires.My questions to you are..
What if there was more? What would more look like? Is it more love, more balance, breathing space to just be, more opportunities, a harmonious relationship, a soul mate, a more fulfilling job? Be honest with yourself and enjoy the process. We are all magnificent creators and we can manifest our goals, aspirations and dreams – there really are no boundaries to what we can create. Trust and believe in yourself and watch as all your dreams and goals for the year come true. No matter what religion you subscribe to (or don’t’) I like to imagine the end of the year as a time of celebration, a time of giving, a time to focus on all the good in our lives. It’s not just about the giving of gifts but giving of our time and our love to others and this may be as simple as offering a stranger a smile as we pass in the street or offering a helping hand. It is the little things that make a difference – letting a car in front of you during peak hour with a smile, and being polite and courteous to shop assistants. These small offerings make a big difference and during this very busy time of year, it is important that we take a moment to stop and reflect on what it is we want to give out. Remember what we give out comes back to us multiplied. Giving to others open your heart to abundance and love, but how is your balance of giving and receiving? Is it possible you’ve forgotten someone important, someone who could benefit from giving too? Don’t forget to give to the most important person, YOU. When we love ourselves, when we are kind and gentle with ourselves, only then can we be kind and gentle with others. This has a ripple effect. When we love ourselves it opens up our heart. When our heart space is open we automatically give love to others. When we give love to others it makes the world a more peaceful loving place, and isn’t this the true spirit of Christmas – Peace, Joy and Love for all.